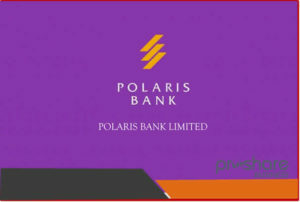 Polaris bank, initially known as skye bank has over 373 branches and cash centres across Nigeria and Lagos state contains about 100 of the branches. 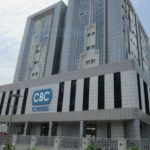 The bank also has subsidiaries in Sierra Lone, Liberia, Gambia, Angola Equatorial Guinea. The bank operates as a group that provides facets of financial products and services powered by a purpose-built technological framework that supports the service delivery process to customers. 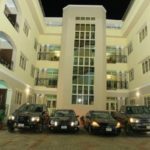 It caters about the entire key market segment in Nigeria and West African economy serving a wide customer base in both public and sector. You landed on this page just because you might be searching for the nearest Polaris bank to you in Lagos. Then you are on the perfect page. Scroll down gently and look through the address one after the other. Address: 47, Isaac John Street, GRA, Ikeja, Lagos. Address: Plot 11, Kudirat Abiola Way, Oregun, Ikeja, Lagos. Address: 1, Commercial Avenue, Apapa, Lagos. Address: 1, Bank Road, Daleko Market, Mushin, Lagos. Address: Plot 1, Block F, Isolo Ind. Estate, Toyota Busstop, Apapa-Oshodi Express Way, Tin Can Island, Isolo, Lagos. Address: Plot 999F, Idejo Street, Victoria Island, Lagos. Address: Plot 634, Adeyemo Alakija Street, Victoria Island, Lagos. Address: 54/56, Broad Street, Lagos Island, Lagos. Address: 47/57, Martins Street, Lagos Island, Lagos. Address: 1, Oladele Olashore Street, Off Sanusi Fafunwa Road, Victoria Island, Lagos. Address: 3, Akin Adesola Street, Victoria Island, Lagos. Address: Adeola Hopewell Street, Victoria Island, Lagos. Address: 708/709, Adeola Hopewell Street, Victoria Island, Lagos. Address: 48, Warehouse Road, Apapa, Lagos. Address: 13, Toyin Street, Ikeja, Lagos. Address: 122, Nnamdi Azikiwe Street, Lagos Island, Lagos. Address: 1-5, Odunlami Street, Lagos Island, Lagos. Address: Afribank Plaza, 14th Floor 51/55 Broad Street, Lagos Island, Lagos. Address: Satellite Town, Ojo, Lagos. Address: 35, Shasha Road By Akowonjo Roundabout, Akowonjo, Lagos. Address: Airport Road Mafoluku, Mafoluku, Lagos. Address: 52b, Ligali Ayorinde Street, Victoria Island, Lagos. Address: 125a, Apapa Road, Ebute Metta, Lagos. Address: Ojota Road Ogudu, Ojota, Lagos. Address: 6, Bajulaiye Road Beside Mr Biggs, Shomolu, Lagos. Address: 14, Cmd Road, Magodo, Lagos. Address: College Bus-Stop, Ikotu, Lagos. Address: Olowora Junction Omole Phase II, Ojodu Berge, Lagos. Address: Oniru Shopping Complex, Lekki, Lagos. Address: Nigerian Air Force Base, Ikeja, Lagos. Address: 118, Iju Road Fagba, Fagba, Lagos. Address: Idi Araba, Mushin, Lagos. Address: Egbe Road, Ejigbo, Lagos. Address: 14, Lekki Epe-Expressway , Osapa London, Lekki, Lagos. Address: Adetokunbo Ademola Street, Victoria Island, Lagos. Address: Jos Road, Opposite Cid Office Beside Immigration Office Akwanga Road, Lafia, Nassarawa State. Address: IBB Modern Market, P.M.B. 53, Suleja, Niger State. Address: Commercial Complex 1, Bosso Road, Minna, Niger State. Address: 1, Zungeru Road, Bida, Niger State. Address: NNPC Depot Maje, Suleja, Niger State. Address: Tunga Junction, Minna, Niger State. Address: Km 2, Abeokuta Expressway, Otta, Ogun State. Address: 65B, Ibara Road, Abeokuta, Ogun State. Address: Adeboye Road, P.M.B. 1032, Ijebu-Igb, Ogun State. Address: Gateway Hotel Complex, Sango-Ota, Ogun State. Address: New Cattle Market Lagos Ibadan Express Way, Isheri, Ogun State. Address: Wahum Building, 2, Adeniyi Jones Avenue, Off Oba Akran, Ikeja, Lagos. Address: Plot PC 28, Afribank Street, Victoria Island, Lagos. Address: 51/55, Broad Street, Lagos Island, Lagos. Address: 78/84, Kofo Abayomi Avenue, Apapa, Lagos. Address: 42/44, Warehouse Road, Apapa, Lagos. Address: Plot 14, Jimoh Odutola Street, Off Eric Moore, Iganmu, Lagos Island, Lagos. Address: 507, Ikorodu Road, Ketu, Lagos. Address: 8, Moshalashi Street, Oko-Awo, Apapa, Lagos. Address: 56, Ikotun-Idimu Road, Ikotun, Lagos. 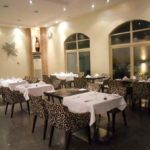 Address: 27, Keffi Street, South West Ikoyi, Ikoyi, Lagos. Address: 182/184, Broad Street, Lagos Island, Lagos. Address: 10, Sanusi Olusi Street, Oke-Arin, Lagos Island, Lagos. Address: 20, Lagos Road, Ikorodu Town, Ikorodu, Lagos. Address: Murtala Mohammed International Airport, Stall 007, Arrival Hall, Ground Floor, Ikeja, Lagos. Address: Opic Plaza, Mobolaji Bank Anthony Way, Maryland, Lagos. Address: H27/28, Alaba International Market, Ojo, Lagos. Address: Blockk 2, Wing A, M/M International Airport, Ikeja, Lagos. Address: 4 ,Oremeji Street, Off Simbiat Abiola Road, Ikeja, Lagos. Address: 26, Osolo Way, Isolo, Lagos. Address: Int.Trade Fair Complex,Badagry Exp.Way, Ojo, Lagos. Address: 64, Ago Palace Way, Okota, Lagos. Address: 2/4 ,Jimade Close,Off Ladipo Street, Mushin, Lagos. Address: Plot 32, Kudirat Abiola Road,Oregun, Ikeja, Lagos. Address: Atiku Abubakar Hall, Int’l Trade Fair Complex, Lagos Island, Lagos. Address: 37/38, Ogba-Isheri Road, Ogba, Ikeja, Lagos. Address: Plot 232b, Adeola Odeku Street, Victoria Island, Lagos. Address: 5, Alfred Rewane Road , Ikoyi, Lagos. Address: Wharf Road, Apapa, Lagos. Address: Opebi Road, Ikeja, Lagos. Address: Plot 1a, Block C Lsdpc Industrial Estate, Amuwo Odofin, Orile, Lagos. Address: Allen Avenue, Ikeja, Lagos. Address: Lsdpc House, Nnamdi Azikwe / Alli Balogun Street, Lagos Island, Lagos. Address: Lagos Island Local Government, Igbosere Road, Lagos Island, Lagos. Address: Eti-Osa Local Government, Kingsway Road, Ikoyi, Lagos. Address: 34, Creek Road, Apapa, Lagos. Address: 81, Adeniran Ogunsanya Street, Surulere, Lagos. Address: Eib House, Plot 5, Commercial Scheme, Alausa, Ikeja, Lagos. Address: 19, Fatai Atere Way, Matori Industrial Estate, Mushin, Lagos. Address: 2, Montgomery Road, Yaba, Lagos. Address: Ikeja Plaza, Mobolaji Bank Anthony Way, Ikeja, Lagos. Address: Epe LGA Secretariat, Epe, Lagos. Address: 287, Ajose Adeogun Street, Victoria Island, Lagos. Address: 60, Kosoko Street, Lagos Island, Lagos. Address: Badagry Local Govt. 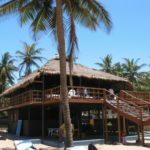 Ajara, Badagry, Lagos. Address: Ikorodu Local Govt. Secretariat, Ikorodu, Lagos. Address: Ayangburin Road, Ikorodu, Lagos. Address: Lagos/Abeokuta Road,Temidire, Sango Otta, Lagos. Address: 30 Marina P.M.B. 2200, Lagos Island, Lagos. Address: 148, Obafemi Awolowo Way, Ikeja, Lagos. Address: 120, Lagos Abeokuta Exp Way Ade- Adu Bus-Stop, Agege, Lagos. Address: 27, Mushin Road, Isolo, Lagos. Address: 520, Ikorodu Road, Ketu, Lagos. Address: Seme Border, Seme, Lagos. If incase you know any Polaris bank branch in Lagos that is not included in the list above, kindly comment to notify us in the comment section below. please, i want to know your position in the stock market. I heard there is a polaris bank at E-channels office, 3rd floor PC 28, church gate street, Victoria island ,Lagos state. How true is that?